Oh, what a goal it was. Alex Tuch started from the center line, chased a player down behind his own goal, dislodged the puck, then picked it up and sped past not one but two players before he slid a shot under Craig Anderson’s pad. You hear about 200-foot players, that was a 300-foot play and a potential season-changer for the Vegas Golden Knights. There was nothing lucky about Tuch’s goal though, and a few minutes later, when Ryan Reaves tapped home a rebound, there was nothing lucky about that one either. The Golden Knights have been getting chance after chance after chance, but they just haven’t been putting them away. Against Ottawa, twice in less than five minutes, they scored goals that were unstoppable by any goalie in the league. Then, after conceding again, a tip from Tuch squeaked its way through Anderson’s pads. That one had a touch of luck on it, but as Gallant had said maybe the ice has been broken. This Golden Knights team is not void of offense. A year ago they had 10 players with double-digit goals and another 10 with at least 10 points. Of those 20 guys, only four (five if you count Schmidt) are no longer with the team. Vegas scored 272 goals a year ago (3.32 per game). They were top 10 in almost every meaningful offensive category. Only 26 times did they fail to score at least three goals. Yet this year they are 28th in scoring as a team at just 2.36 goals per game and have failed to reach three goals in eight of their 11 games. Sometimes it takes something special to turn the tide and we may have just witnessed it last night. Tuch’s first goal, which led to Reaves’ game-tier appeared to resurrect the Golden Knights of old. It may have just been that one night, but that game, and those goals had a feeling of something much more. 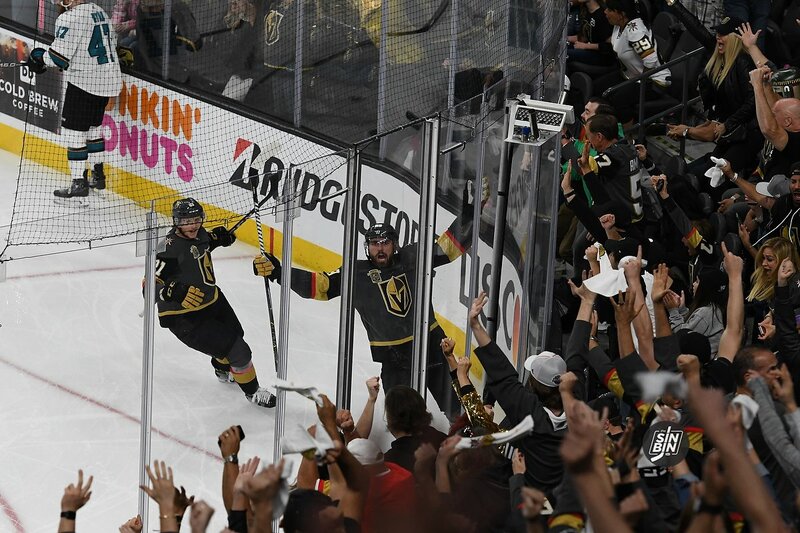 You could see and feel it in the release of emotion from the bench when Jonathan Marchessault scored on the penalty shot in overtime. There’s still a lot of work to do for these Golden Knights to regain the stride that carried them all the way to the Stanley Cup Final a year ago, but against Ottawa, they took a huge step in the right direction, and they know it. Keep this gif on standby for anyone that questions Tuch’s contract.